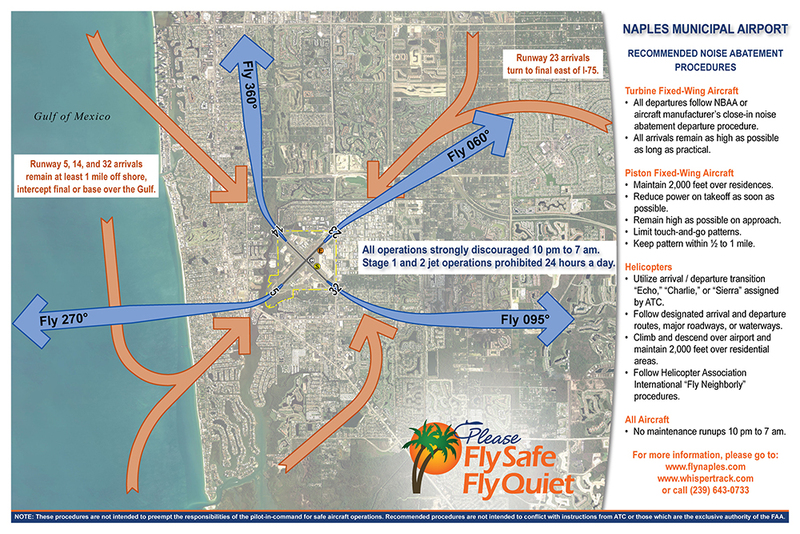 HMMH has provided a broad range of noise consulting services for Naples Municipal Airport since 1990, including Part 150 Updates for 1996, 1998 and 2000. Other services provided by HMMH have included: noise analysis for the 1996 Master Plan; a Part 161 Study for restriction of Stage 2 general aviation jet operations; flight tracking, noise monitoring and complaint software; a portable monitoring field kit and associated staff training; noise analysis for a 2011 runway extension Environmental Assessment; and diverse continuing noise consulting assistance to support noise program implementation, promotion, updating, publicity and outreach. Most recently, HMMH provided the noise analysis and solar feasibility study for the 2018 Airport Master Plan.